Interpreter Pattern is used for representing the language and provides an interpreter to work with the syntax of the language. Interpreter Pattern comes under Behavioral Pattern. For example, compiler converts the user defined language to machine understandable language. Mapping of domain and syntax to a language can be done easily. One can easily understand and change the syntax of the language. Client: Client is used to represent the consumer of the interpreter. Client objects represent the expression tree that further represents the commands that are to be executed. Context : The context class is used for storing the information, which is used for expression objects. AbstractExpression: AbstractExpression is an abstract class and a base class for all expressions. 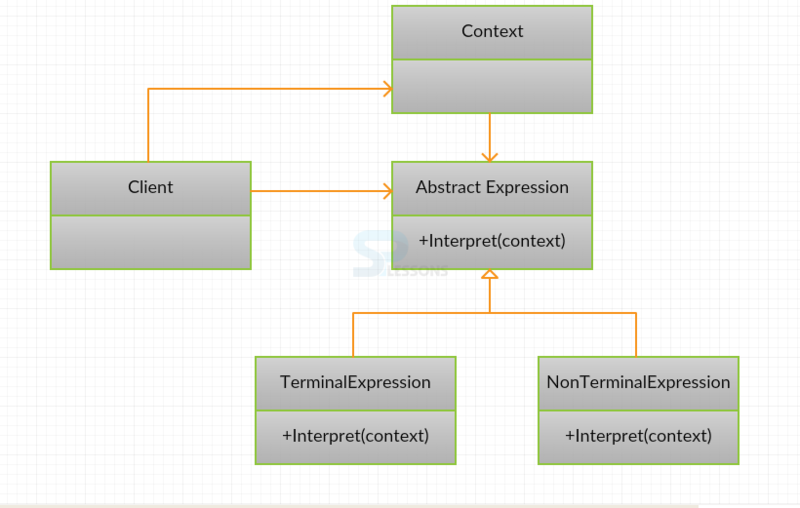 It defines the Interpret method, which must be implemented for each subclass. TerminalExpression: Terminal expressions are interpreted in a single object. These are created as concrete subclasses of the ExpressionBase class. NonterminalExpression: Non-terminal expressions represent the concrete subclass of the ExpressionBase. Creating a interface Name and importing Java.util Package. 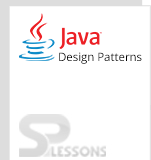 Creating a class InfxToPostfxPattern that implements the interface Name. Infx is taken as input in the form of String and is converted to postfx. int priority = 0;// for the priority of operators. }// End of the InfxToPostfxPattern class. Creating a Main class Interpreter and an object for the InfixToPostfixPattern class. Interpreter Pattern are applied for parsing light expressions. Interpreter pattern can be applied to a limited area.